Affordable Dentures - Nashville, P.C. 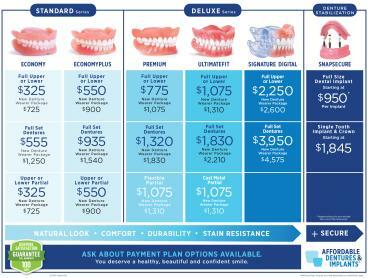 If you want compassionate dental care, look no further than Affordable Dentures & Implants®. We offer respectful, skilled service to the Nashville, TN area. Our continued innovation in affordability, speed, accessibility, and patient satisfaction helps us change the lives of patients every single day. Founded in 2001, we draw upon many years of experience to provide dentures and implants that meet our patients’ needs. We can schedule appointments five days a week. To keep you comfortable and relaxed during your treatment, our office can offer intravenous sedation if you're eligible. Our dentures and implants improve patients’ smiles, but more importantly, we make a positive impact on lives as well. From performing denture repairs to providing life-changing implants, we offer every patient convenient, comprehensive service. Our technicians will create your new dentures or implant prosthetics right here in our on-site lab. 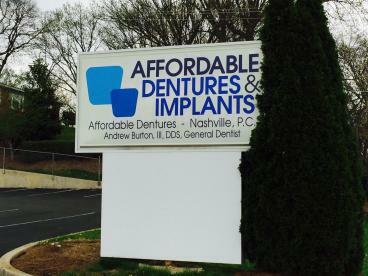 Affordable Dentures & Implants in Nashville has the support of America's largest denture provider and is working to provide a smile for everyone. Our additional services include extractions, relines, and adjustments. To see if you’re a candidate for dental implants or to inquire about our denture services, contact us today. Andrew M. Burton III, DDS, attended the University of Tennessee College of Dentistry. He gives over 3,000 denture patients a year good reasons to smile. As the independent owner of our practice, Dr. Burton can offer you a wide range of denture solutions. And as an experienced implant dentist, he may even be able to help you restore and maintain your bone structure and youthful appearance. Thanks to many years of implant experience, Dr. Burton and his staff make their patients feel relaxed and confident. Affordable Dentures located in Nashville, TN opened in 2001. Each year, we treat more than 3,000 denture patients who travel from Nashville and many other communities in the surrounding area. 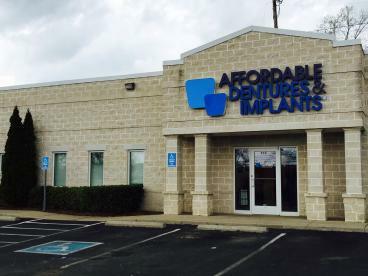 Our Nashville practice proudly provides Affordable Dentures and Implants® and related denture and tooth extraction services.